Anyone know where to get it? Seems to be discontinued here in SA. I have been googling for a bit, can't find anywhere local that stocks it. 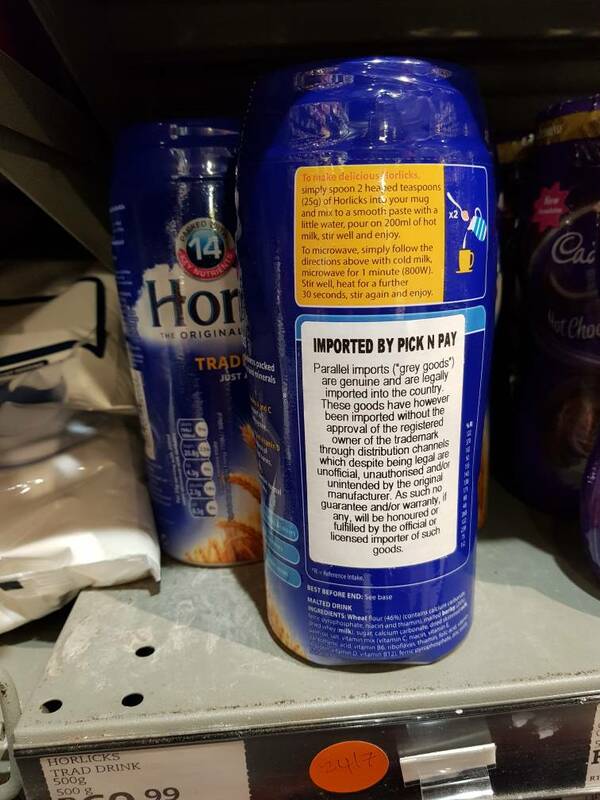 The date is 2017 April 03 and I was just informed by "Brenda" at Customer Care at GSK HQ in Bryanston that Horlicks is not being imported to the RSA anymore because of "supplier issues" with the producers in Britain who is not exporting the product to this country anymore - no reasons are being supplied. Well shucks. Import only then? I read an article last week that GSK is focusing on certain "power brands", that is their sensodyne toothpaste, some antiinflammatory brand, and so on. Horlicks has taken a massive backseat in their portfolio due to room for growth. I think Horlicks may only be available in India where the factory is. It's quite a turn around for the Horlicks brand which they remarketed in 2014/2015. My grandmother is a 5 decade Horlicks addict, she's now switched to Ensure. Ps, I have one unopened Horlicks left (I usually buy bulk of certain products), at least I still have 12kg of unopened original Milo. Dibs on the Horlicks packet! Yoh original Milo. the new Milo is crap. Can you still get Ovaltine? Isn't that supposed to be a replacement? Amen brother. I confronted nestle about the change in formula, just got the usual 'sorry you are not happy with the new Milo, kthxbye'. The new one is just nestle hot chocolate with a bit of malt added. Sugar content has increased 3x that of the original. 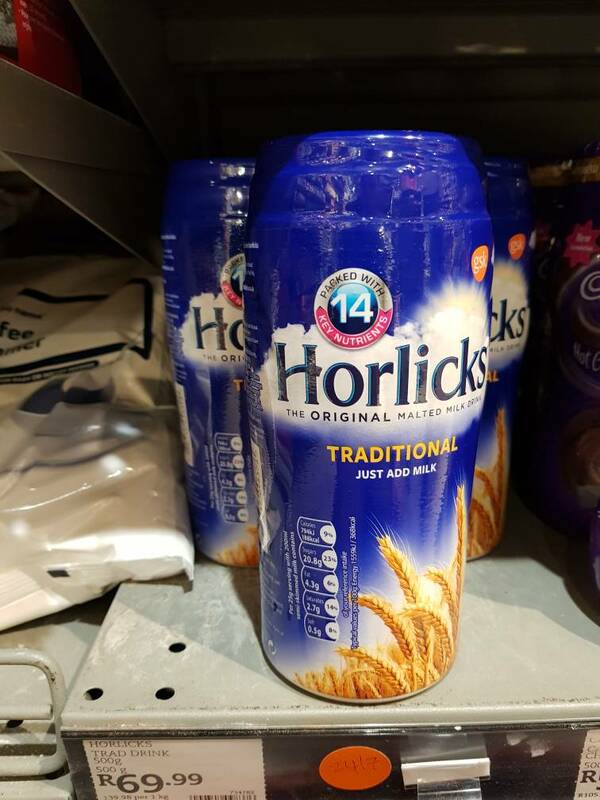 There is a shop in Benoni which sells Horlicks if you are interested. address is 16 Birmingham Road, Actonvillle, Benoni. Thanks. Messaged them. Will go collect if they do have. I see they might have some other goodies that I like. Im sure ive seen it in the store. They have stock. R78/500g. Will be visiting them next week. It's 2017 - you no longer need to put a mercury solution on wounds.